Local manufacturers of electrical and electronics items, including cables, meters, light bulbs, fittings and accessories, have laid off more than 3,000 workers between March and September this year. This is as they continue to grapple with low capacity utilisation arising from high cost of funds, competition from cheap and substandard imports and general non-conducive operational business environment. Investigations by our correspondent revealed that in addition to the challenges, the continued inability of the manufacturers to access foreign exchange for the purchase of essential raw materials and machinery for production in the past 21 months has taken a heavy toll on the sector, leading to more factory closures and job losses. For instance, a leader in the cable manufacturing industry, Coleman Wires, has laid off more than 50 per cent of its workforce within the period. The Managing Director, Coleman Wires, Mr. George Onofowokan, told our correspondent, “I am the Chairman of the Electrical/Electronics Group of the Manufacturers Association of Nigeria and to say there have been over 3,000 job losses in that sector between March and now is putting it mildly. “In our own firm, we have laid off more than 50 per cent of our staff members. The market is not moving up; inventory level and production are contracting. We invested N2.5bn in a factory last year; that factory today is not functioning at up to five per cent capacity because of lack of raw materials. Although we are still servicing the loan we took to set up the factory. A former Chairman, Infrastructure Committee, MAN, and Managing Director, Bennett Industries Limited, Mr. Reginald Odiah, said his business of manufacturing and selling light bulbs and fittings had become so challenging that he had sacked all his employees and now relied on casual workers whom he only called when he had any job to do. The industrialist, who has been operating in the sector for over 30 years, once had a flourishing business making electrical appliances and accessories. He was at a point the Chairman of the National Electricity Regulatory Commission’s Technical Committee on Operationalisation of Micro-Grid industrial Cluster Initiatives. But he said things had got so tough that he had to give up his factory space because he could not afford to keep it going again, adding that the space was later acquired by a church. Like Coleman Wires, the bulk of Bennett Industries’ raw materials is imported and the company faces the challenge of access to forex, but beyond that, Odiah said he had battled high cost of funding and low patronage from Nigerians for long, which had exposed his firm to unhealthy competition from cheap imported light bulbs and fittings. “Manufacturing locally is very challenging. If I am borrowing now, I will borrow at an interest rate of 25 per cent for 360 days. When local manufacturers produce, taking all the costs into consideration, their products are seen as expensive. Even though the quality is better than the imported ones, people will choose to patronise the imported low quality ones,” he explained. Another local meter manufacturer and the Managing Director, Mojec International Limited, Ms. Chantel Abdul, said she had been playing a waiting game with the banks to see if she could get forex to produce meters, which would be sold to electricity distribution companies. While waiting, the firm has had to scale down on the number of her employees, because of the lack of activity in the factory. Abdul said, “Before now, we had issues with patronage but since the campaign for local patronage started, the Discos have been patronising us. The issue now is that we are unable to produce enough meters to sell to them because a lot of our raw materials are imported. She added, “In addition to this is the lack of access to a single-digit interest financing to allow us produce and sell to the Discos for future payment arrangement. That is the kind of arrangement foreign suppliers are offering them, a situation where you can supply them the meters and they pay over a period of 34 months or more; but no bank is willing to give you a facility that lasts for that length of time. During a presidential policy dialogue with Vice-President Yemi Osinbajo in August, the President, MAN, Dr. Frank Jacobs, disclosed that 50 more companies had shut down between March and September due to lack of raw materials. According to Onofowokan, more than 1,000 manufacturing firms have shut down operations nationwide during that period. 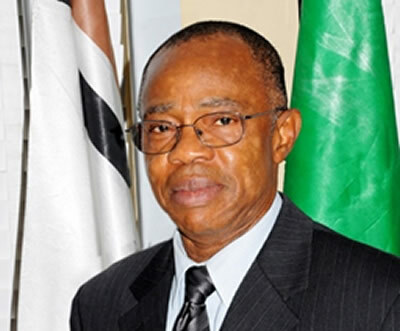 As a way out of the problem, an analyst and the Director-General of the West African Institute for Financial and Economic Management, Prof. Akpan Ekpo, suggested that since the CBN had opened a special window of intervention for the manufacturers and it did not seem to be solving their problems, the apex bank should take responsibility for disbursing the funds to the sector instead of leaving it in the hands of the commercial banks. He said, “There are CBN offices all over the country. The manufacturers can access the special funds directly from the CBN, and the apex bank can in turn monitor to see that the money is well utilised. This is a short-term approach. In the long term, Nigeria can start looking for ways of producing these raw materials locally, or where it can import them cheaply from.